Helicopter sightseeing tours generally involve aircraft being chartered by vacationing families seeking excitement and close up views of extraordinary sites such as the Grand Canyon, the mountains and coast line of the Hawaiian Islands, and Catalina Island in California, to name a few. Such flights can be thrilling and memorable when conducted safely, but far too many tour flights end in tragedy. As with any aircraft crash, negligent maintenance and other system issues are often the cause, but tour flight crashes can also be the result of pilots pushing the envelope in an effort to impress passengers. Helicopter sightseeing tours are treated like other charter flights for purposes of the federal regulations. A complete understanding of these regulations, and the other legal issues that go along with such flights, is vital. 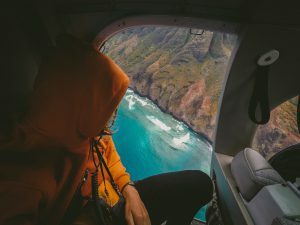 Unfortunately, not all pilots have the experience necessary to handle helicopter tour flights, particularly when you consider the distractions that can come with excited passengers. Helicopters can be very unforgiving, and an inexperienced or distracted pilot can get into trouble more easily than you’d like to think. Unfortunately, the FAA does not provide the public a list of reputable companies. Several locally focused sites, such as GoVisitHawaii.com, do have additional information about companies in their area. Additionally, travel sites like TripAdvisor or Fodors have forums where others post about their experiences with particular companies. Most companies will require you to sign a waiver prior to the flight. Please make sure to read it thoroughly before you agree. The aviation accident attorneys at Braden, Varner & Angelley, P.C. have successfully handled numerous cases involving helicopter sightseeing tours and have the legal knowledge and practical experience required to obtain favorable results for our clients.